Webkit engine is derived from KDE's KHTML engine and contains many enhancements that made it better than its mother. It has been used for Apple's Safari and Google's Chrome web browsers. 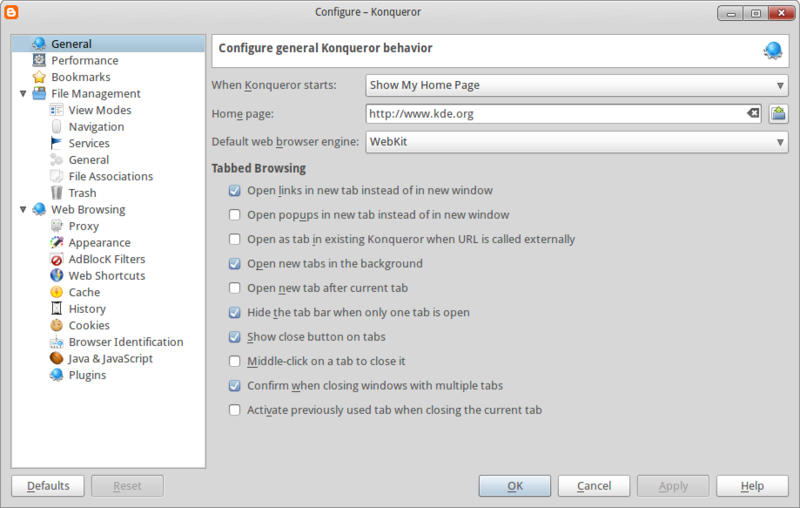 Now open Konqueror (or restart if it is open) and go to Settings --> Configure Konqueror --> General --> Default web browser engine. You should have 2 options in there. KHTML and WebKit. Screenshot below. That's all there is to it. You should now enjoy browsing the web using WebKit engine. Konqueror KDE web browser is very good browser.. its easy to use.. thanks for sharing information about KDE browser..
Hi Jeff. yes it is and getting better. Thanks for visiting.